This year, I feel somewhat well versed in character beanies. You see, last summer, the fam took a little trip to Boston and while we were there, one of the nerdrequisite outings was a trip to the flagship Newbury Comics store (the one on Newbury Street :). The Dude decided to get a graphic novel and a Minecraft Creeper toque. That toque, his pride and joy this Fall, was stolen a few weeks ago at the local pool during one of his diving lessons. Poor kid, he had hung it on a hook with his coat and it was gone when he came back to the changeroom. He was absolutely heartbroken. Naturally, I searched high and low, online and offline, for a replacement. 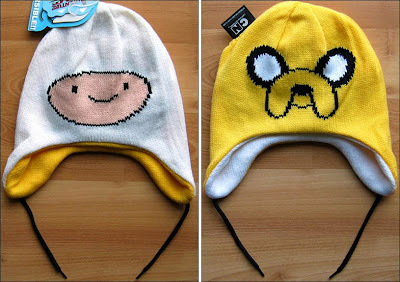 When I couldn't find one, I surprised him with a reversible Finn/Jake Adventure Time beanie instead (see below). 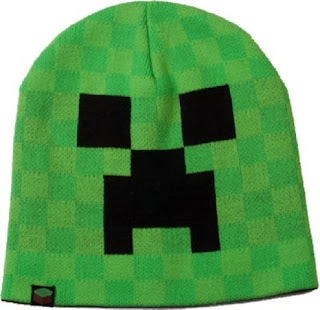 And on Christmas, thanks to a recent trip to the Microsoft campus by my Tweep +Todd Lamothe, hubby and I will be excited to watch the Dude open a package containing a coveted Creeper hat. Adventure Time reversible Finn & Jake beanie - this is the one I bought for the Dude to replace the stolen Creeper hat. This is absolutely geekdorable and he gets tons of compliments on it. If you're in Ottawa, I picked his up at The Comic Book Shoppe on Bank Street. 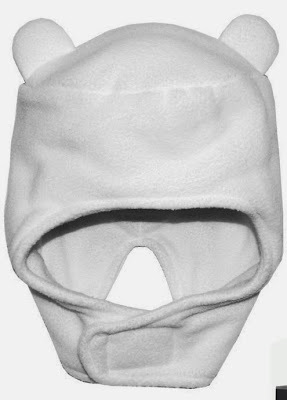 Finn Helmet Hat - Ok, another Adventure Time hat but I promise that this one is totally cute! Granted on the photo it kind of looks like a diaper, but trust me, it's completely adorkable when it's on an actual human head. Note: Don't forget to pick up Finn's sword to go with it. 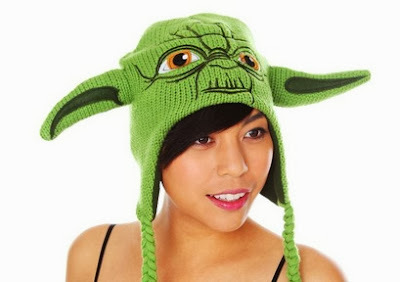 Yoda Beanie (with ears!) - seriously. Nuf sed. 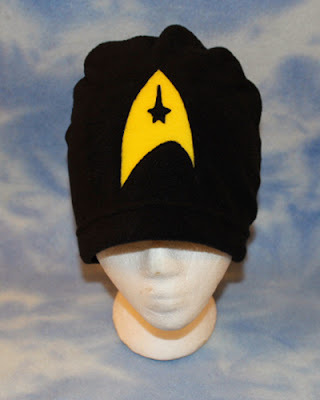 Star Trek beanie - being a Trekkie never looked so nerdy. 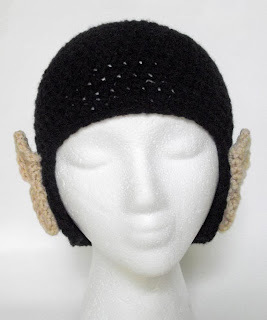 Vulcan beanie - No, wait. This is nerdier. But still way fun! 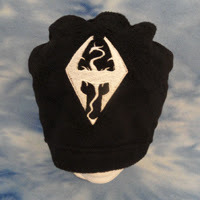 SkyRim Elder Scrolls beanie - This is the Elder Scrolls dragon insignia on a hat. And it's probably the most stylish of the bunch. Definitely a fave. So many options. The problem is being able to only wear one at a time. Happy shopping!